Design is our passion. We believe it's about interpreting our clients' goals and personality through a creative, artistic lens to express a clear point of view. We envision a space complete, leaving no detail to chance! It's more than a business for us. It's about the positive impact, happiness and memories we can bring to our clients' daily lives! When my youngest child went to kindergarten, I decided to follow my passion and pursue a degree in interior design. While still in school, I started working at a hospitality design firm. 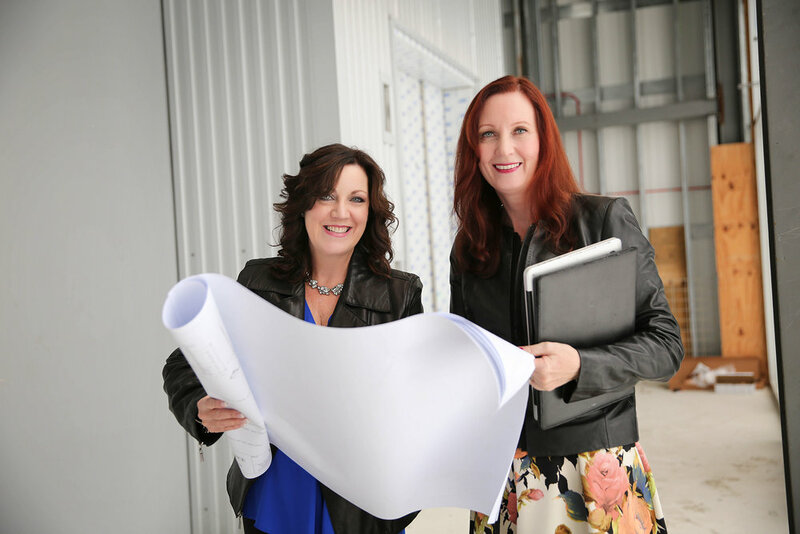 From designing ballrooms with intricate coffered ceilings and extensive architectural details, to a private school for pre-k through 8th grade students, to renovating a rehabilitation-physical therapy facility, each project allowed me to creatively think outside the box. As a designer, I collaborate with talented contractors, vendors and artisans to design and create visual masterpieces for our clients that are not only beautiful and curated, but also functional, meeting and exceeding each client's unique needs, hopes and dreams. Favorite thing to do outside of work? Spending time with my extended family, cooking and taking classes at Orange Theory Fitness. What is your biggest design influence? I love architectural details and always look for ways to creatively combine them with gorgeous fabrics and furniture. Biggest source of inspiration? My biggest inspiration comes from nature. The gorgeous colors and shades of a sunset over the water, the texture of the pine tree bark in my backyard, the shades of color the setting or rising sun makes on the snow. Favorite color? I’m not sure I have a favorite color anymore! I think my ‘favorite’ color is the color palette in my latest design project. Favorite design style? Of course, I have more than one! Some of my favorites are Art Deco, Neo-Classic and Hollywood Glam interiors. Latest design obsession? Blue and white interiors with a pop of color and a splash of metallic. Design tip? Take your time when starting a project, have a plan and don't be afraid to try new things. Invest in quality and timeless foundational upholstery pieces. Lastly, don't be intimidated about hiring an interior designer; it could be the best investment you'll ever make! 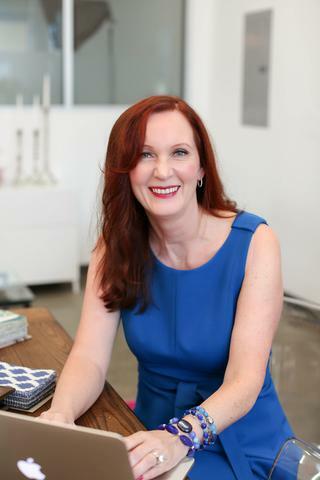 Christine is a member of the American Society of Interior Designers (ASID). She is also a member the New Jersey Chapter of ASID, currently serving as the Co-Chair of the Community Service Committee, and has formally served as Co-Chair of the Student Affairs Committee. My formal entry into the design community came after a 25-year detour in the corporate world that allowed me to hone my process and project management skills before returning to what I love most and was meant to do. As a designer, each space I've brought to life has seen a perfect merger of right and left brain skills! I tap into my practical, detail-oriented European upbringing and project management experience, while allowing my creative side to be unique and unconventional in the American way. Favorite thing to do outside of work? Spending time with my family, my rescue pets or riding my horse King. What first sparked your interest in interior design? Growing up in Germany, our family moved frequently. The changing homes served as the perfect backdrop for me to choose color schemes, wallpaper, fabrics and details, and learn about remodeling and decorating. What is your biggest design influence? I love sewing and quilting. As such, I am obsessed with beautiful fabrics! Biggest source of inspiration? Traveling. Some of my favorite cities and regions are the Black Forest and Harz Mountains in Germany, Paris, Barcelona, NYC, Tucson and Charleston. Favorite color? I don't have a specific favorite color but some of my favorites are rich blues and jewel tones. Favorite design style? Eclectic, Spanish colonial and equestrian-inspired interiors. Latest design obsession? Black and white interiors. Design tip? Surround yourself with items you love and don't be afraid of color or trying something new. Our taste will continue to evolve but paint colors and fabrics can be easily changed. For major purchases, invest in high quality, classic pieces that will serve you well for years to come and make you happy! Iris is a member of the American Society of Interior Designers (ASID). Christine and Iris also serve as Co-Chairs for Community Service for ASID NJ. She is registered in the State of NJ as a General Contractor with HIC Number 13VH07328300.